Local SEO Guide recently collaborated with Places Scout and University of California, Irvine, to examine over 200 ranking factors across 100,000 local businesses in 150 cities. The objective of the study was to determine some of the most crucial local ranking factors. The San Diego SEO experts at Saba SEO discuss the key features of this study. The researchers found that organic SEO factors such as keywords and links boost local search rankings. Even though Google has some unique factors for the local search algorithm, traditional tactics are still important for ranking locally. However, the researchers also discovered that reviews are extremely valuable for local ranking success. Having reviews that mention a city and a keyword are extremely important. Responding to your reviewers can help you rank better in the local pack because it proves you’re engaging with your customers. Other types of engagement like adding photos and business hours are also important for your local rankings. The study also reported that links are crucial for local SEO. Google still rewards optimized anchor text that contains your city name and relevant keywords. Off-page signals are less important than they used to be. However, reviews on other sites are still valuable for your rankings. Make sure your business is listed on sites like Yelp and TripAdvisor, and encourage your customers to leave reviews on these sites and on Google. Good organic search rankings is another great way for your site to show up in the local pack, so continuing with traditional SEO techniques is still important. SEO methods such as adding meta tags, designing a mobile-friendly site, and creating high-quality content can boost your local ranking. 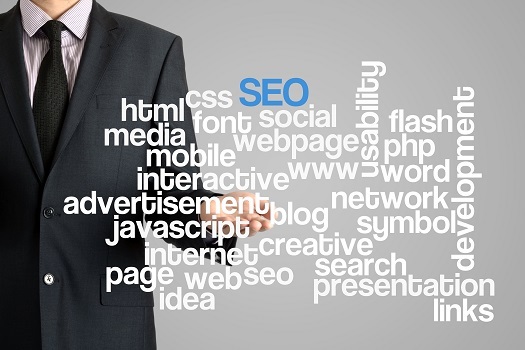 If you need help with any aspect of local or organic search engine optimization, turn to Saba SEO. We are among the leading marketing companies in San Diego, with over ten years of experience in SEO, web design, and content development. Our experts use a variety of ethical SEO tactics to increase our clients’ online visibility, search engine rankings, and conversion rates. Whether you need a review of your existing digital marketing plan or a new SEO strategy, give us a call at 858-277-1717 today.